Spread broccoli in a single layer on the prepared baking sheet. 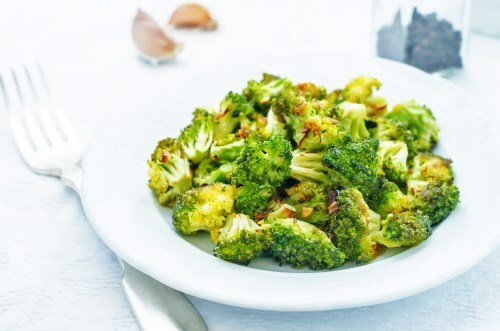 Sprinkle onion and sage leaves over broccoli; drizzle with extra virgin coconut oil. Sprinkle salt, garlic salt, and black pepper over broccoli mixture; toss to coat. Roast in the preheated oven until broccoli is browned and crisp, 20 to 30 minutes.